Yet another variant to add to the collection – the Feildmaster x SHIPS Ref. 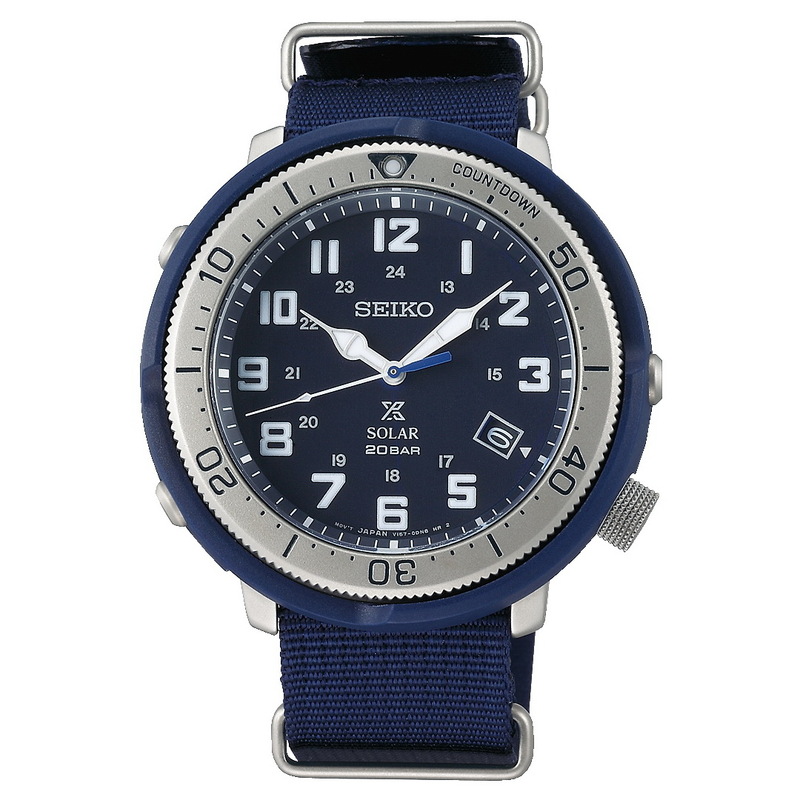 SBDJ039 with its sporty blue shrouded case, deep blue dial and nylon strap also in bright blue. 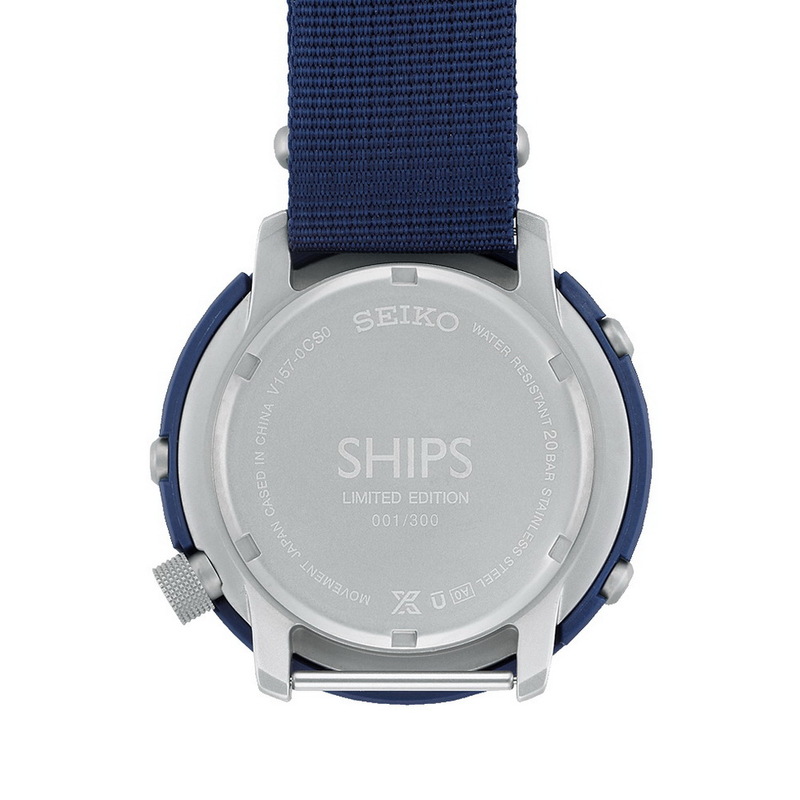 This Exclusive Fieldmaster Model has been created in a limited series of just 300 pieces for SHIPS. It has a JMSRP of 37,000 JPY+TAX. Basic specifications of the watch include: a diameter of 44.2mm, a lug-lug of 44.5mm and a thickness of 12mm. It has a Sapphire crystal and is fitted with a screw-down case-back and crown allowing for 200M of water-resistance. 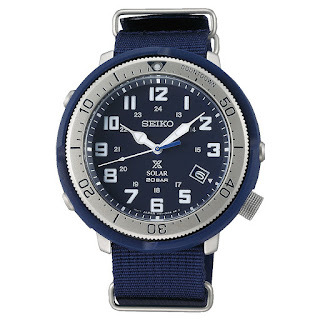 Its hands and dial markers have been applied with Seiko LumiBrite. Powering the watch is a Seiko Solar powered caliber V157 which has an accuracy of ±15 seconds per month and an operating of approx. 10 months from fully charged. It also has overcharge prevention and quick-start functions.